On a rainy night in April, a chance encounter on a lonely road draws David into a romance with Jana Fletcher, a beautiful young law student. Jana is an enigma: living in a run-down apartment and sporting a bruise on her cheek that she refuses to explain. David would like to know her secrets, but he lets them lie-until it's too late. When Jana is brutally murdered, the police consider David a prime suspect. But as he sets out to uncover the truth about Jana, he begins to realize he's treading a very dangerous path-and that her killer is watching every move he makes. 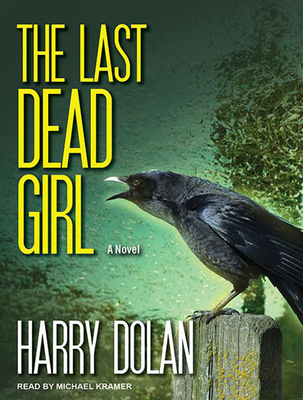 Harry Dolan is the nationally bestselling author of the David Loogan series, which includes the novels "The Last Dead Girl," "Bad Things Happen," and "Very Bad Men." He graduated from Colgate University, where he majored in philosophy and studied fiction writing with the novelist Frederick Busch. Harry lives in Ann Arbor, Michigan. Audiobook veteran Michael Kramer has recorded more than two hundred audiobooks for trade publishers and many more for the Library of Congress Talking Books program. An "AudioFile" Earphones Award winner and an Audie Award nominee, he earned a "Publishers Weekly" Listen-Up Award for his reading of "Savages" by Don Winslow.